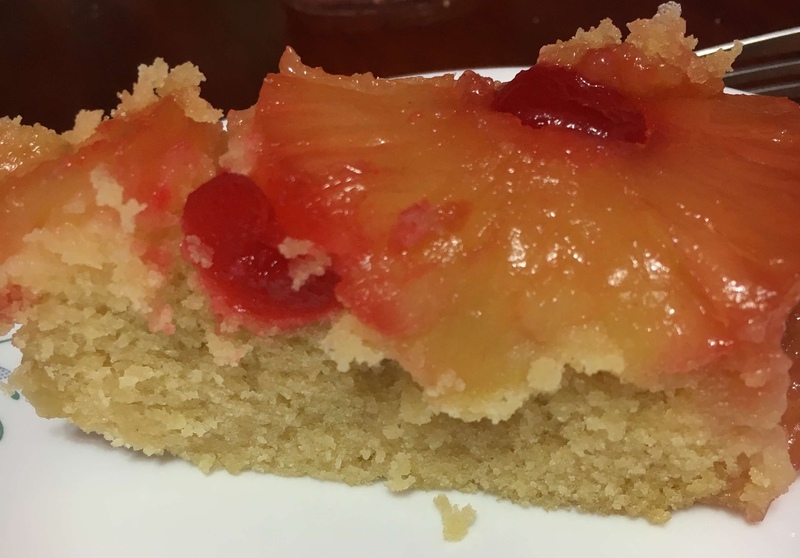 Who doesn’t love a good pineapple upside cake? 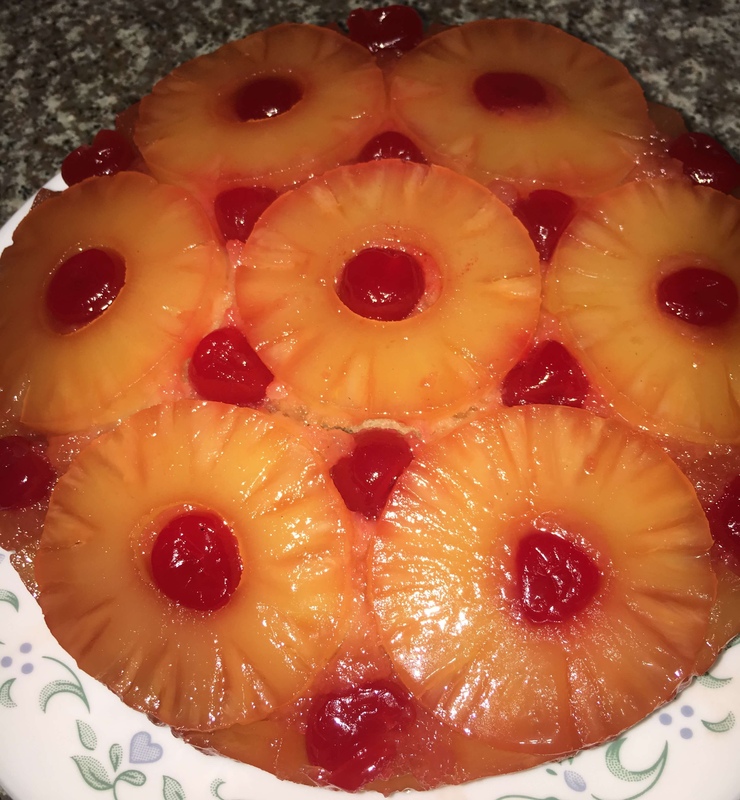 It’s so delicious and the best part about it, is that you don’t have to worry about cake decorating. 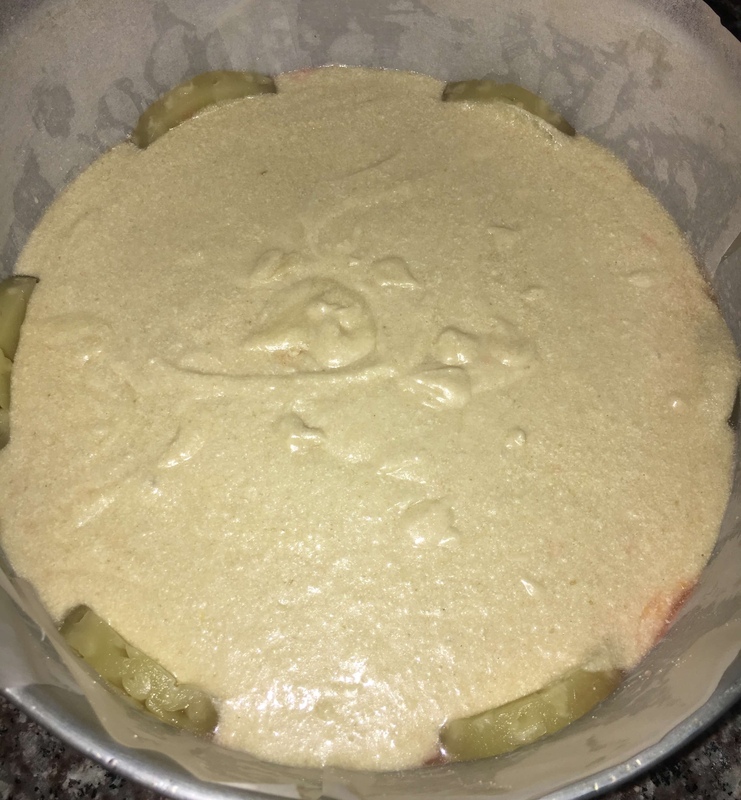 It’s a ready made pretty cake! 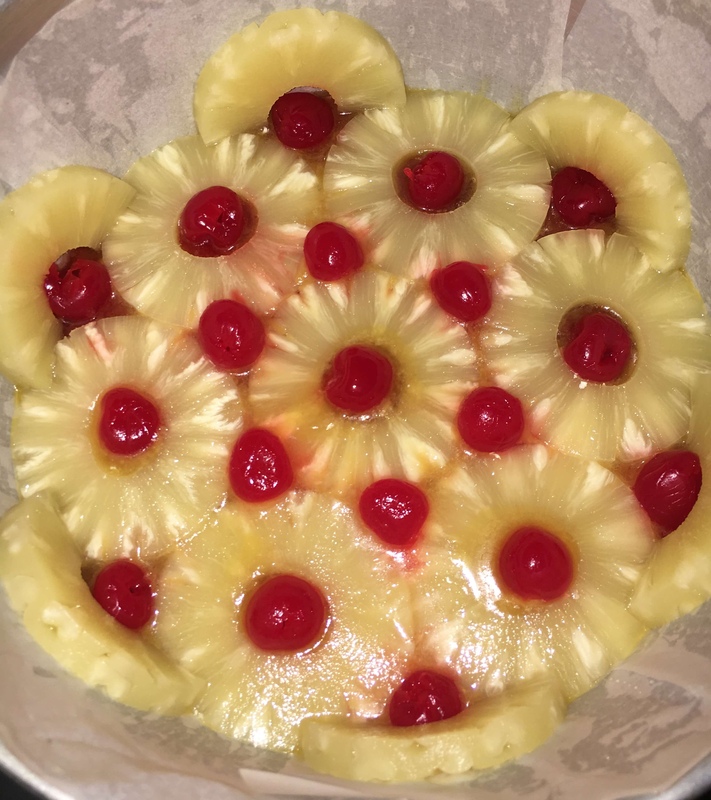 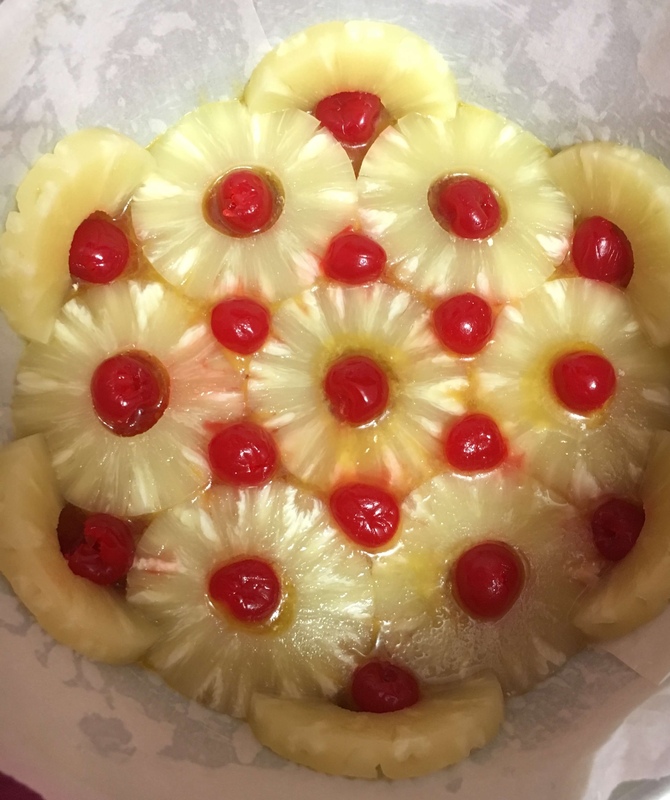 I love pineapples and I love the cherries used as a topper. 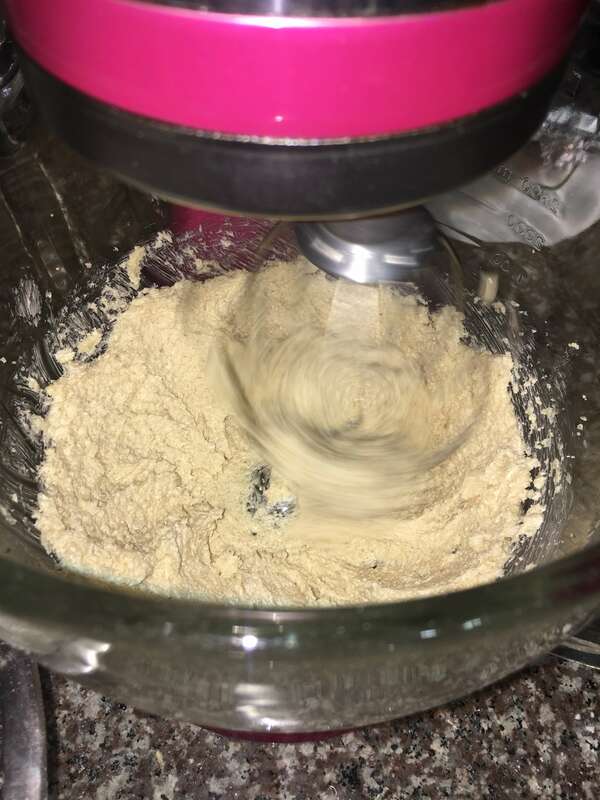 This is hands down one of my favorite cakes to eat and to bake. 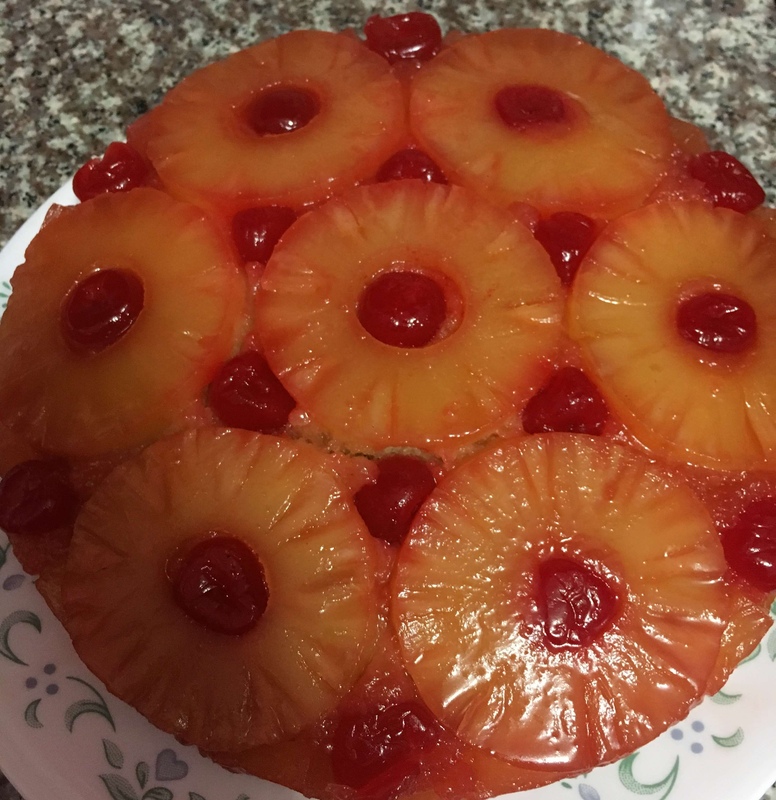 My mommy is a champion baker of pineapple upside down cake and my love for this cake stemmed from her. 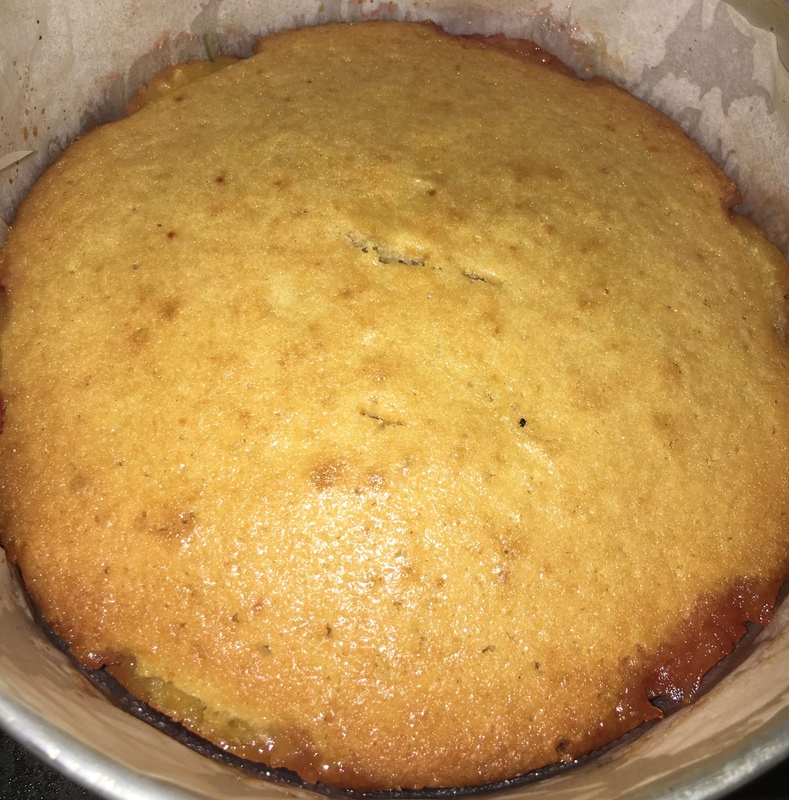 I have baked this cake a number of times before I perfected it. 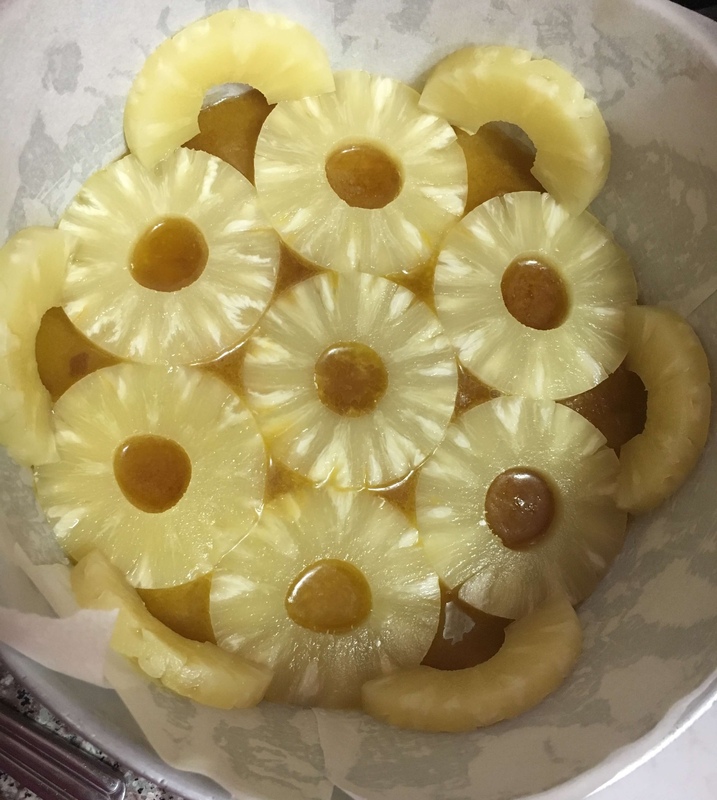 There were times it was too runny, too dense, too sweet, too ugly and the list goes on. 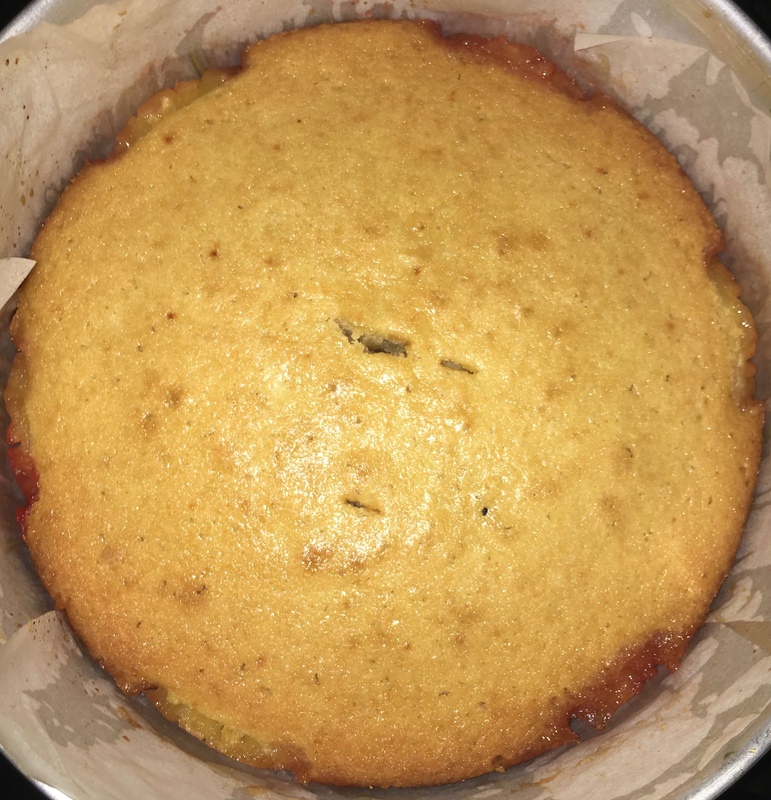 After a multitude of attempts, I was able to bake this cake like my mom and to put my own spin on it. 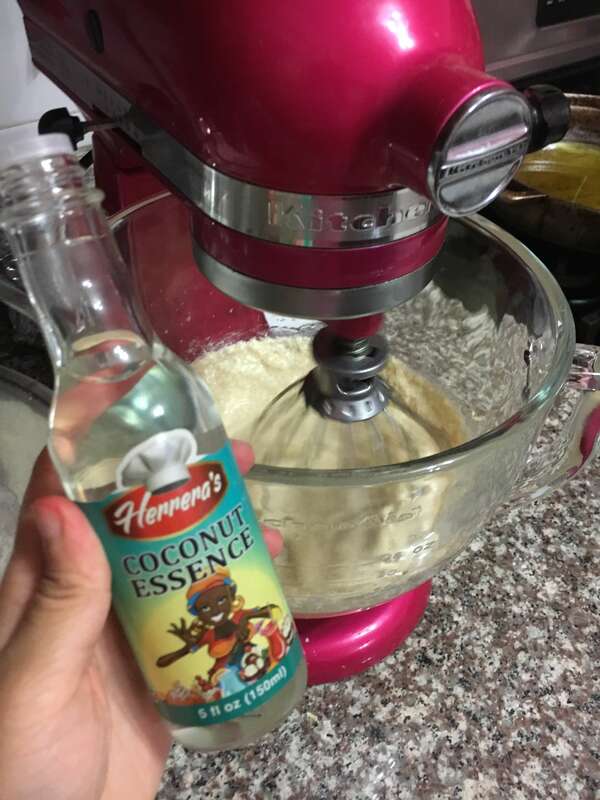 My secret is adding a pinch of coconut essence to the cake, it sounds simple but it makes a huge but still subtle difference. 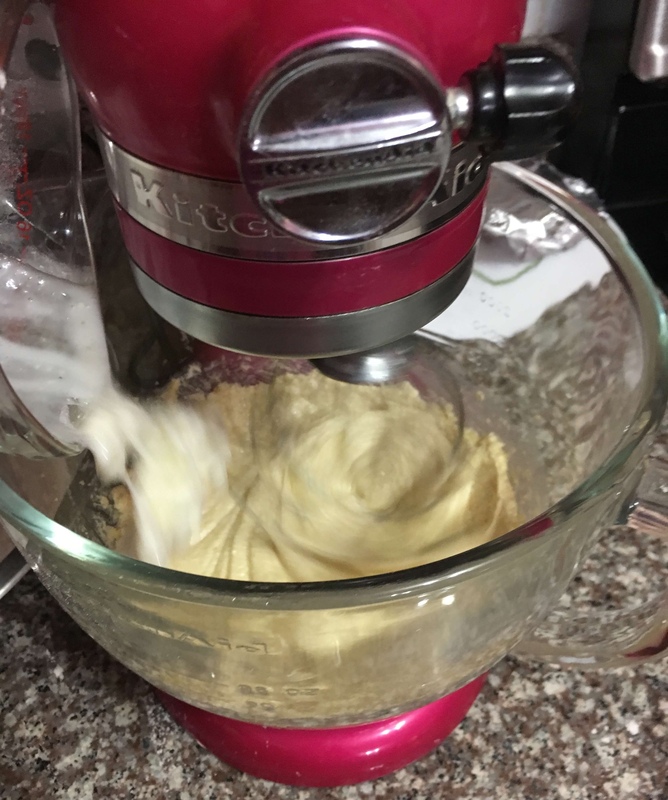 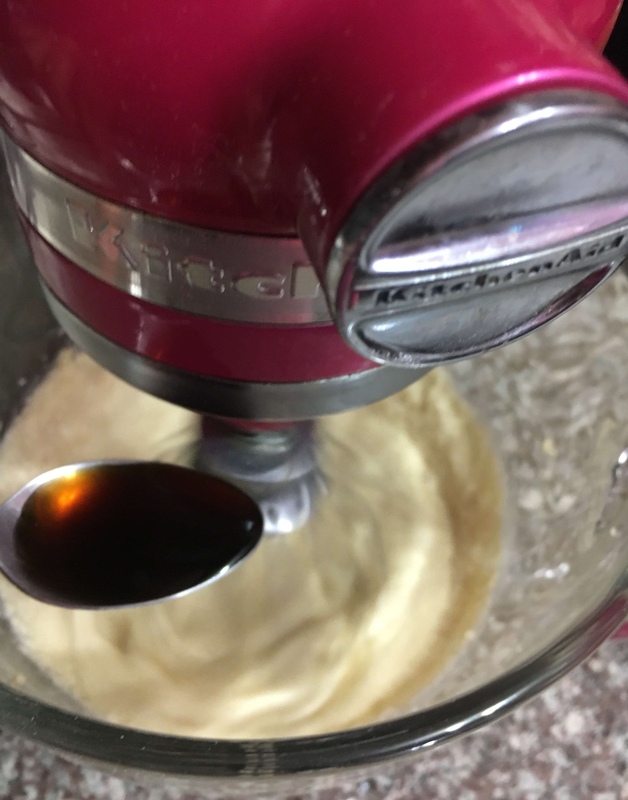 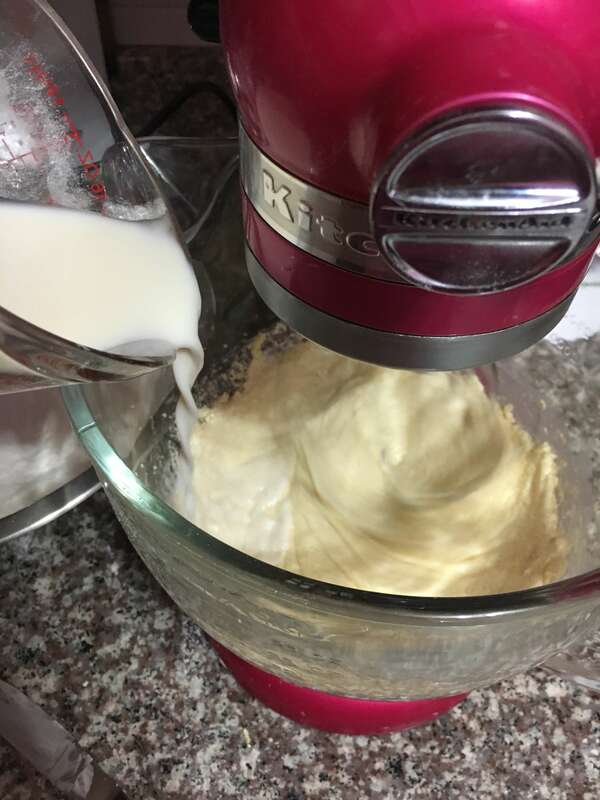 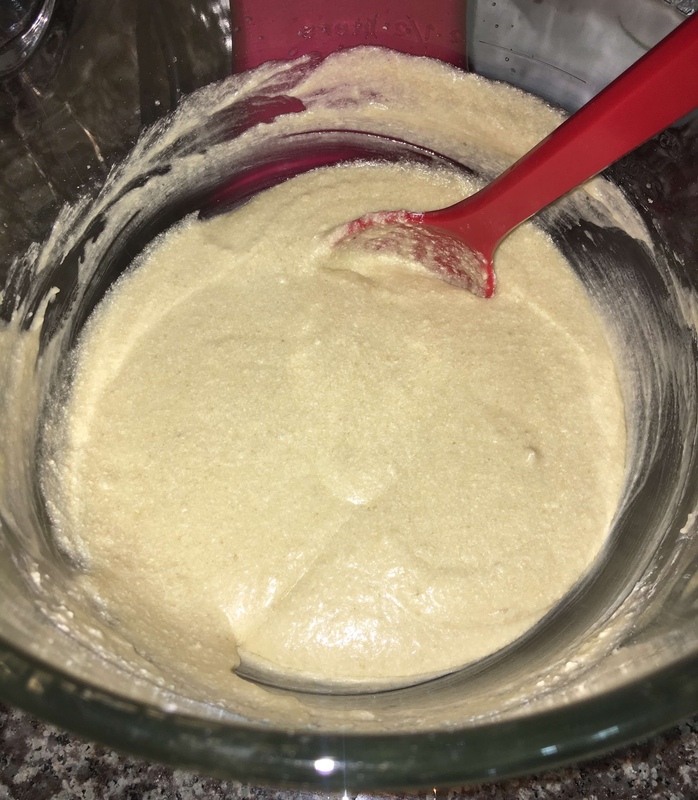 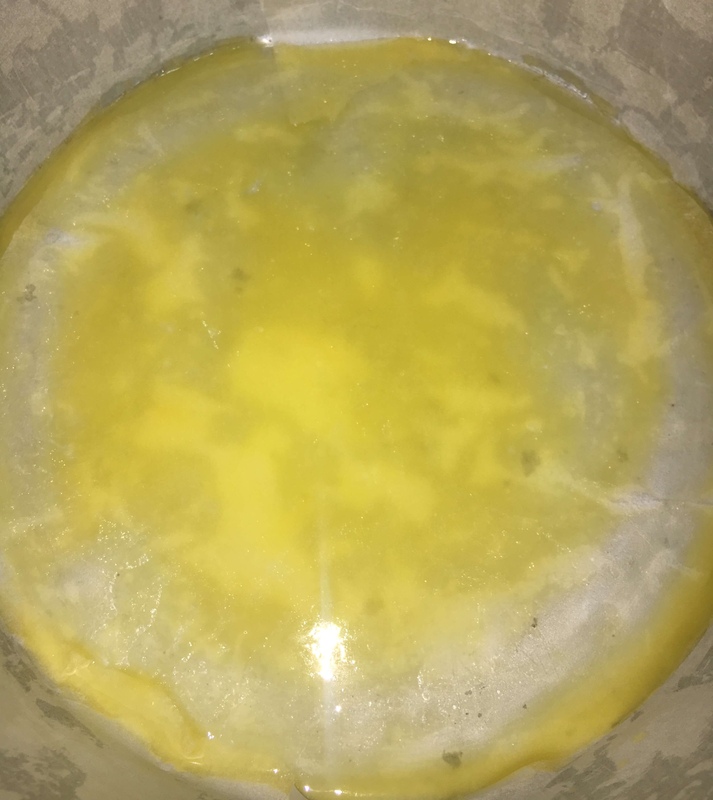 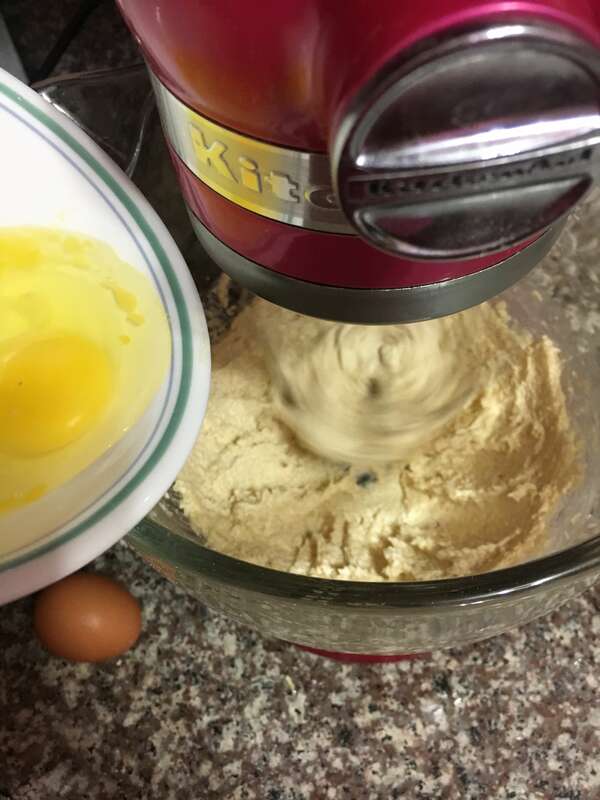 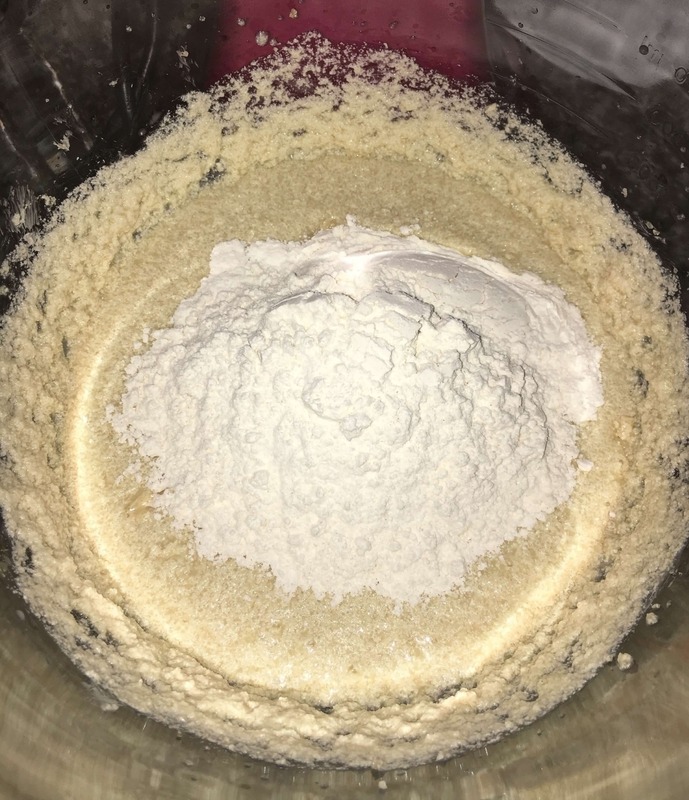 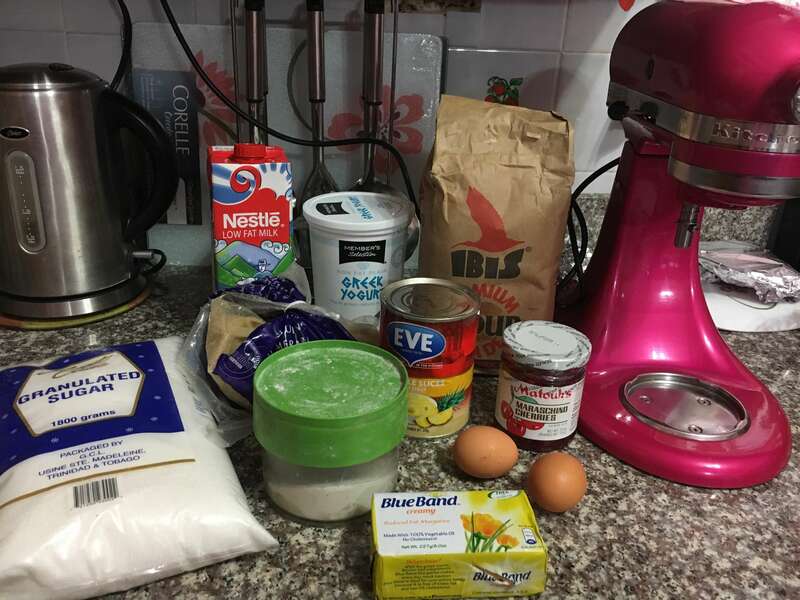 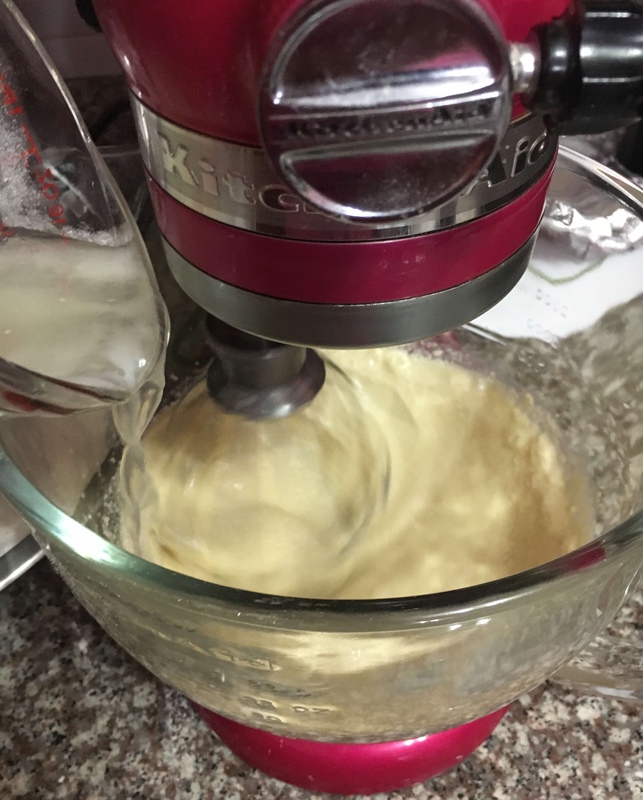 If using a stand mixer, do not use the mixer to mix dry and wet ingredients. 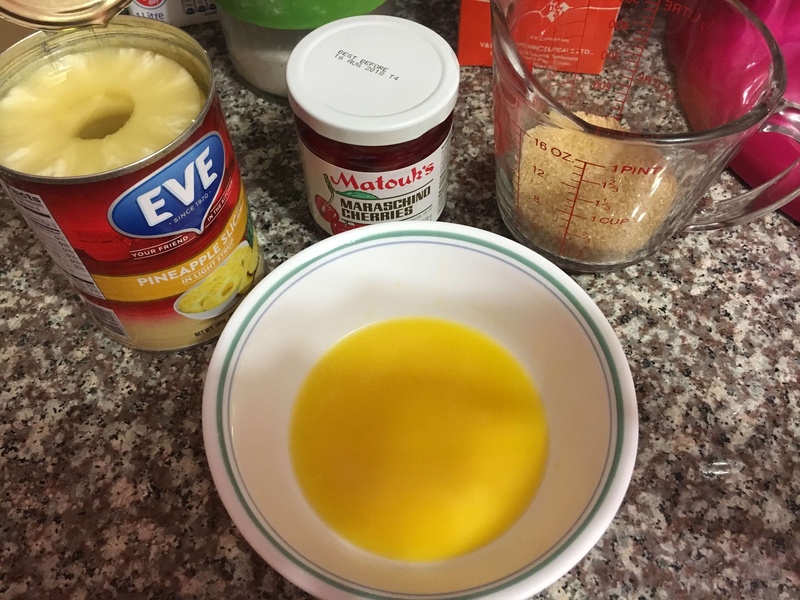 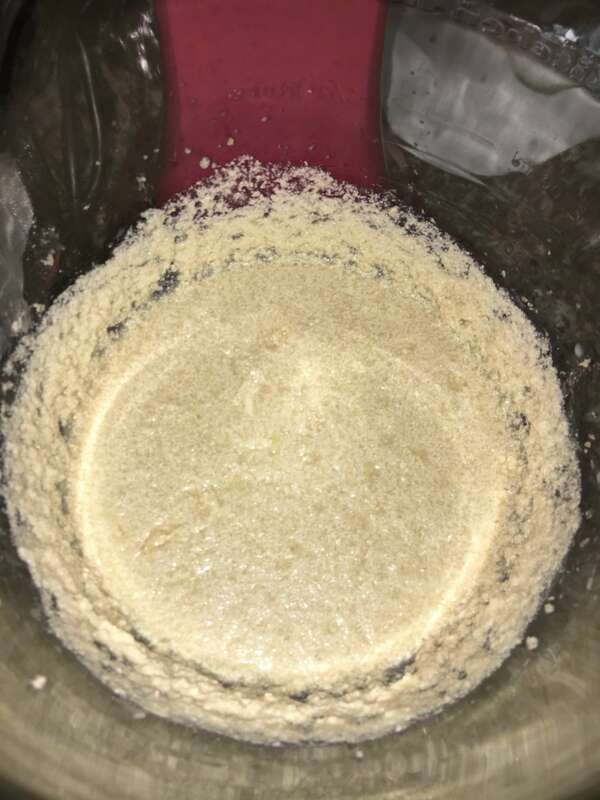 Use a spoon to stir the dry ingredients into the wet ingredients in a circular motion and then through the mixture vertically. 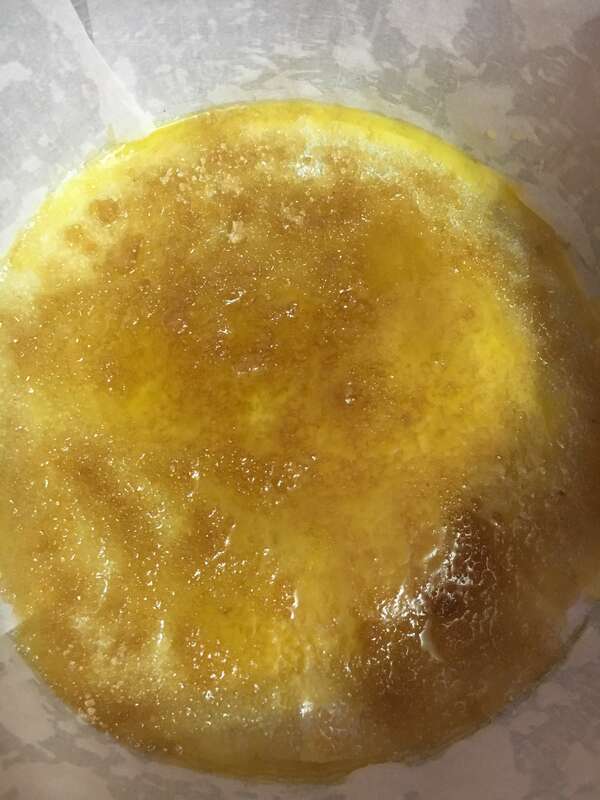 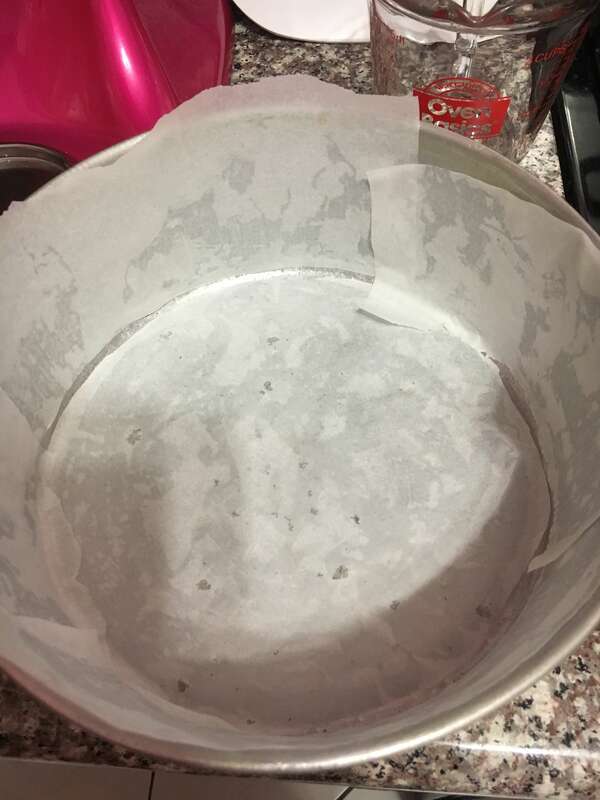 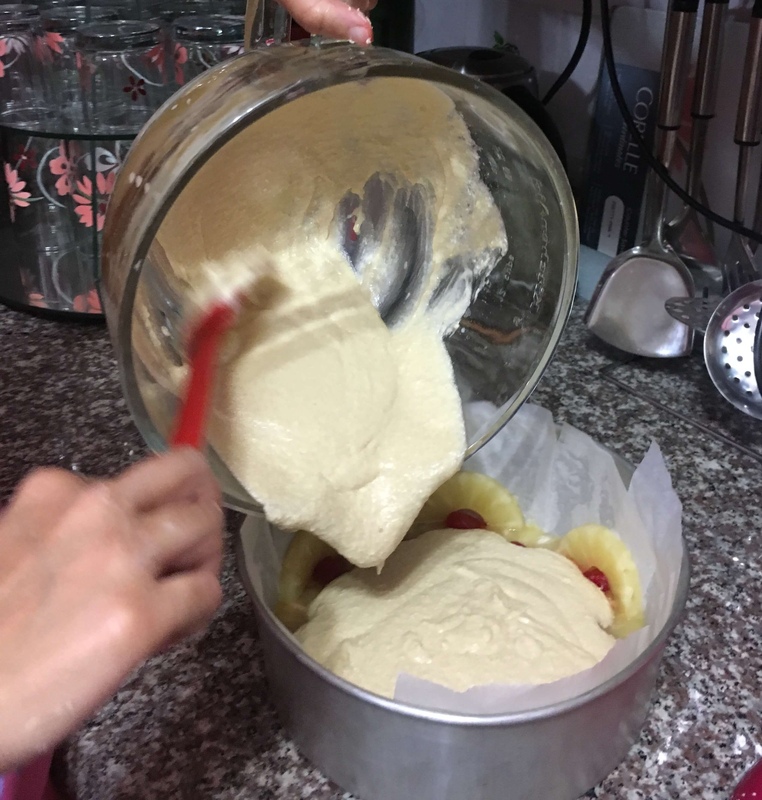 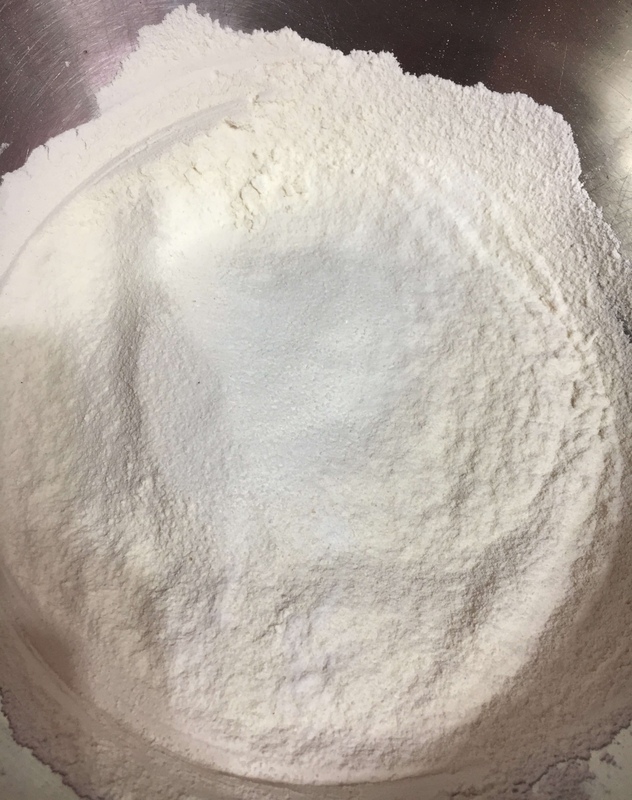 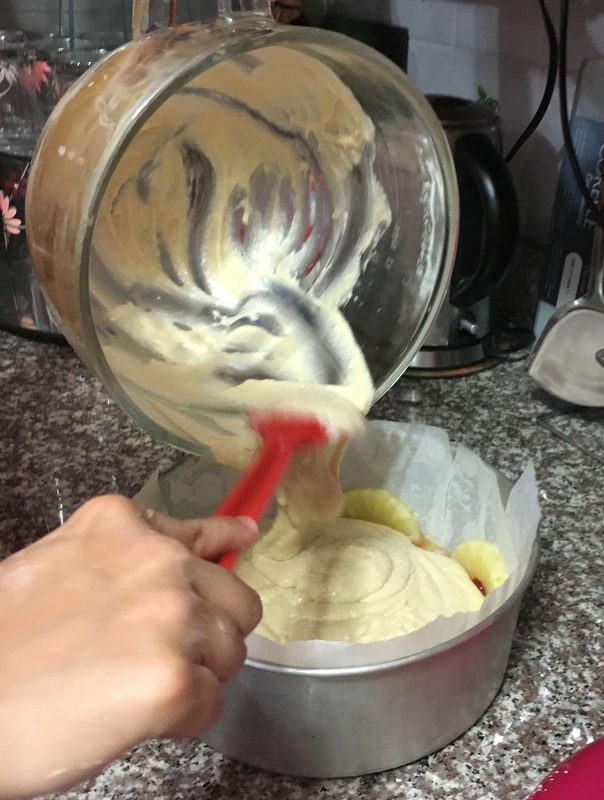 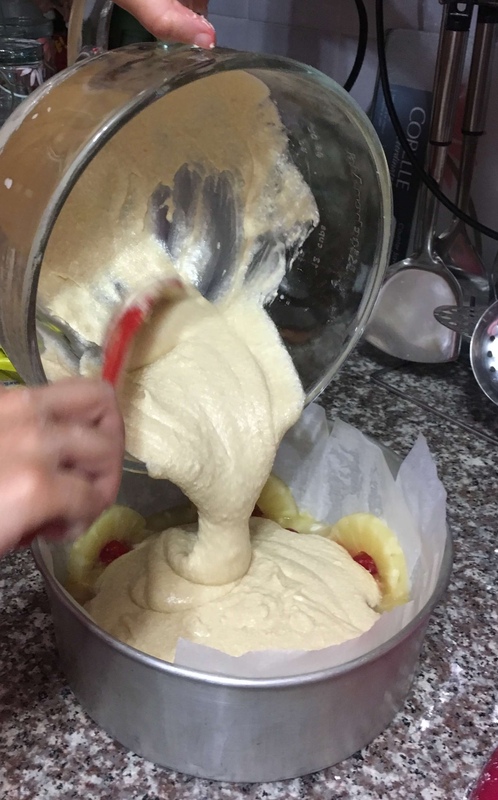 This helps to aerate the cake and prevent air bubbles from forming, it also prevents overmixing of the cake and it results in a less dense cake. My grandpa loves my cake! 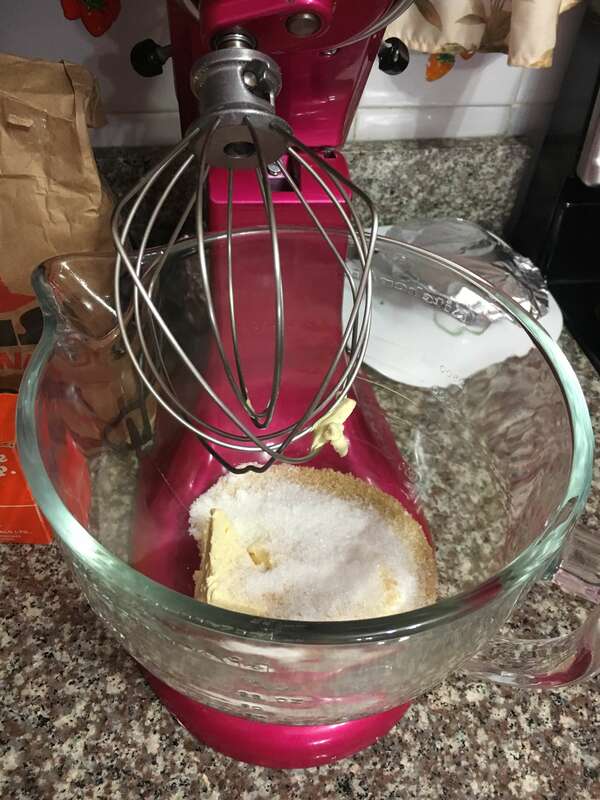 He didn’t even want to share!